If you don’t have it on your calendar yet, it’s not too late to sign up for Trivia night. ITE will be hosting transportation trivia night next Tuesday at the WSP office in Seattle. This is a great way to network and build comradery with other ITE members. You may also learn a few new facts about transportation that will help you in your professional lives or studies. This event is free and drinks, snacks, and prizes will be provided. Bring a team of up to 4-6, or form a team at the event. Time to register for the Washington ITE and IMSA Conference! For the 2019 event, ITE is collaborating with the Washington Traffic Safety Commission and the Washington State Department of Transportation focused on changing the traffic safety culture. We have invited experts from various perspectives to identify activities which could be employed to make a difference. Keynote speakers include David Yang, AAA Foundation for Traffic Safety; and Darrin Grondel, Executive Director, Washington Traffic Safety Commission. Attendees will be challenged to take immediate-term actions to achieve traffic safety culture change to save lives in Washington. Join us! King County Metro, Communications Control Center Tour – Registration was full, but six more spots have opened! The Communications Control Center monitors every bus and link light rail train as they traverse the region. Communication coordinators manage about 1,300 Metro and Sound Transit buses and Link Light Rail. Drivers also communicate with the TCC through radio, phone and preprogrammed text messages. Another team in the control center sends out emails, texts, and Twitter alerts as buses are rerouted or trips canceled. We will see the control center in action and learn where all that “big data” is coming from and how it is used for apps and analysis. This ITE technical session will provide some insights and emerging ideas related to school transportation from increasing and improving multimodal transportation options to increasing safety and awareness of drivers and students. We’ll talk about new transportation challenges including changing school start times and designing or adapting schools to meet transportation needs and challenges. This panel of transportation experts will provide some insights of recent experiences with generous time preserved for questions from the community. 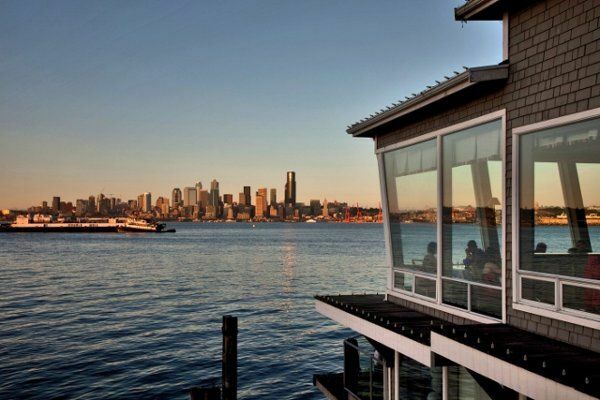 The ITE Washington Annual Kick-off Meeting at Salty’s on Alki is September 11, 2018 at 11:30 a.m. This year’s program is Preparing for Live Operations; the Opening of the Alaskan Way Viaduct Tunnel with Susan Everett, Alaskan Way Viaduct Program Design Engineer, and others on her team will be presenting the state of the Alaskan Way Viaduct Tunnel. Enjoy your summer, and see you in September if not before! This year’s membership meeting will highlight activities and finances for our organization and plans for the next fiscal year. We will also be honoring key members with awards for their contributions to the organization in the last year in addition to ITE’s Outstanding Young Professional and Outstanding Service awards. Please join us at this year’s membership meeting to honor these members. Guest Speaker: ITE Washington is also honored to have ITE International Vice President Randy McCourt join our annual meeting and provide us with his perspective on the activities of ITE International and share his vision of how ITE can collectively build upon his campaign focus of “enhancing the ITE member experience through networking, partnerships, and technical expertise”. Luka Ukrainczyk is a transportation engineer in the Speed and Reliability group at King County Metro. He focuses on transit signal priority project planning, design, and implementation as well other treatments to improve bus performance. He received a bachelor’s degree in civil engineering from UC Davis and a master’s degree in transportation engineering from UW. During his graduate studies, he researched freight transportation, was president of the student chapter of ITE, and interned at WSDOT Toll Division. Subsequently, Luka worked at DKS Associates before entering his current role at Metro. I am honored to be nominated for Secretary in the Washington chapter of ITE. ITE was a formative part of my education and professional life. I greatly enjoyed organizing and participating in activities such as Traffic Bowl and the Student Leadership conferences. My vision for ITE includes furthering engagement with the student chapters in Washington and organizing informal events like happy hours and networking lunches. I would like to focus on mentoring young professionals for leadership in ITE. We need to make efforts to avoid the loss of ITE talent that occurs when students members graduate. I hope to have the opportunity to work to further ITE’s mission and help the chapter expand. I am a traffic engineer with a broad range of experience in traffic engineering and transportation facility design. My current focus is in traffic signal operation, traffic calming, traffic studies, and asset management that support livable and sustainable communities emphasizing walking, bicycling, and transit. I’m fully committed to meaningfully involving the public and project stakeholders throughout the planning and design process. My project experience includes corridor and traffic studies, bicycle and pedestrian planning, design, and public engagement. I am passionate about our ITE members who volunteer for the success of our profession. They are the backbone of the ITE Community and ensure the sustainability, visibility, strength, and growth of our organization. With my strong focus on volunteerism, backed by my 20+ years of active ITE membership, together we will Move ITE Forward as a leader in the global transportation community. I have the desire to see ITE grow and succeed. Simply, I have much to contribute.